The Project Twin Streams Ranui-Massey-Swanson area runs from the bridge on Swanson Rd (near Parklands Rd), downstream to the Huruhuru Creek. The area includes the Waimoko, Paremuka and Swanson streams, which were overgrown and neglected in many places when the project began. However, with the continued energy and enthusiasm of the Ranui, Massey and Swanson communities these streams are being restored to healthy and beautiful places with wonderful additions such as the Te Herenga Tangata sculpture and Te Rangi Hiroa Youth Park. 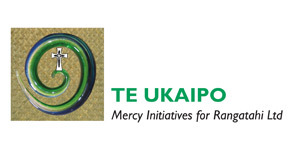 Te Ukaipo Mercy Initiatives for Rangatahi Ltd (Te Ukaipo) manage the contract for Ranui-Massey-Swanson. We hold streamside community events and work with groups within the community who have adopted an area of the stream that they care for on a long term basis. We monitor the environment of the streams through bird watching and water monitoring together with Wai Care. Our regular rongoā rakau and raranga harakeke workshops are very popular and we also welcome volunteers every Friday morning between 10am and 12 noon – please join us if you can. We believe that everyone has something valuable to contribute to the project, and we welcome anyone who wishes to be involved.